Every once in a while I hear a voice, or a sound, or a musical arrangement that takes me completely by surprise. It takes me by surprise because it chips away at my foolish belief that I am absolutely certain about what kind of music I like and what kind of music I don't like; what kind of music makes sense to me and what kind of music leaves me baffled and impatient; what kind of music makes me hot and what kind of music leaves me cold. I suppose I shouldn't be too surprised — after all, music is supposed to be unpredictable. It's supposed to be disruptive, provocative, and run counter to our expectations. Today's song does all those things for me because I never would have expected to find myself enjoying it quite so much, and returning to it for repeated listens on the podcast where I found it. A little bit of web surfing revealed a disappointingly slick-looking, and pouty pre-packaged pop star with a suspiciously spelled first name. But further investigation piqued my interest and convinced me that (at least) today's song was the real deal: full of interesting imagery, (im)perfectly appealing vocals and simple, stark guitar strumming. I don't know where 24-year old singer/songwriter Brandi Carlile is headed in her musical career, but she comes off sounding like someone who's got a pretty good idea. This song is from an early live ep. Her most recent release may be nothing but commercial, big-label crap. 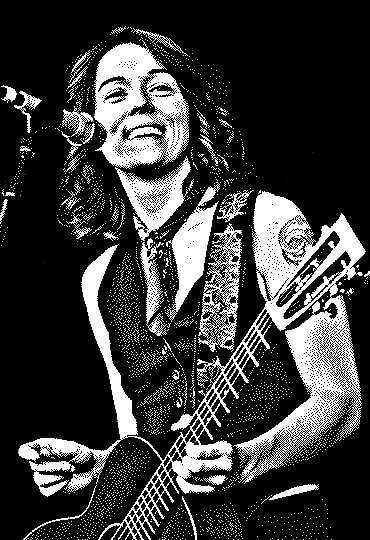 I doubt it, but then again, I've been wrong about music before… Today's Happy Medium Song of the Day is “Downpour” from the Brandi Carlile live ep, Live from Neumo's.